We're Looking for Followers - Join Us on Twitter! Communication is key when it comes to parent engagement says a group of over 30 parents who rolled out of bed to have their voices heard at an early morning meeting sponsored by Troup County School System (TCSS). Once a month, the Parent Advisory Council (PAC) meets to share ideas and information that helps parents and the school system maintain an open line of communication between the two groups. 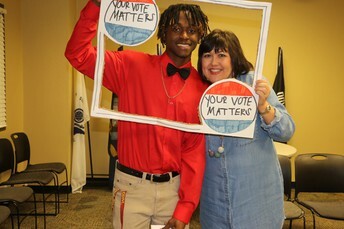 Congratulations to Tracy Bain for being selected as a parent representative for the 2019 State School Superintendent's Parent Advisory Council (PAC). She is active in the local PAC, and as a Long Cane Elementary School parent, she plans to represent TCSS and share ideas to increase parent and family engagement during her 2-year term as a council member. Holden Schindler, 8th grade Callaway Middle School student, walked into the school gymnasium with 74 of his classmates and saw the area transformed into a community that was prepared to give the students a reality check. The event, realityU, was sponsored by PNC Bank and Communities in Schools. 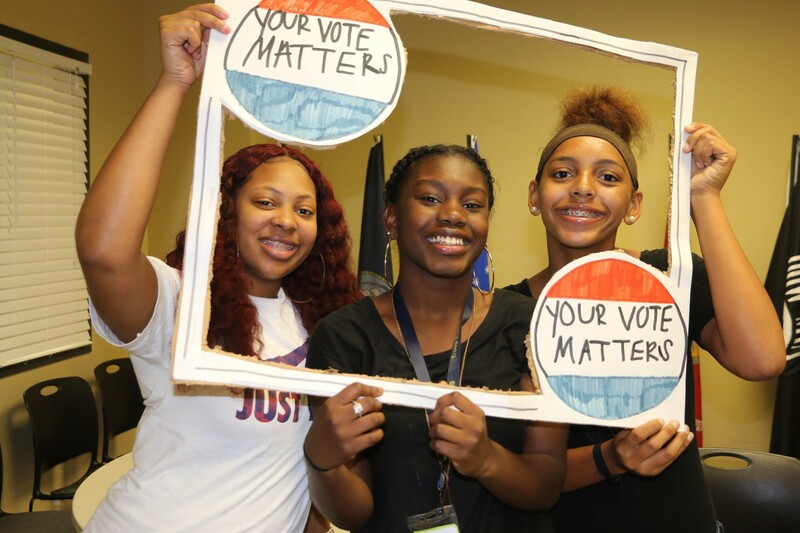 A total of 150 eighth grade students participated. When they entered the facility, each person was provided a profile that included their income, marital status, credit score, career field, credit card debt, student loan status, and other critical life elements that can impact lifestyle and financial wellbeing choices adults make. They also received a realityU Student Passport where they could record monthly transactions and associated costs, and also receive a ‘passport stamp’ for the stations they visited during the hour-long exercise. 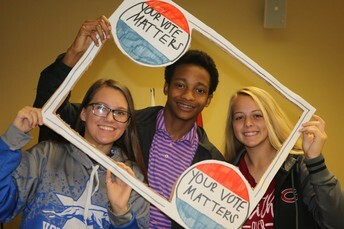 Communities in Schools of Troup County Reps.
On election day, Mr. Ken White's government class at THINC hosted a modified voter registration drive to simulate what the actual voting process consists of. The students worked through a Project Based Learning module where they created a voter registration drive, voter lists, and then held a pseudo election complete with 'I Voted' stickers. 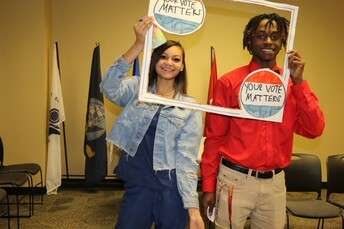 THINC students and building employees showed up to 'cast' their vote for the project based learning event. We are proud to be an educational path to success where parents choose to send their children for a quality education. 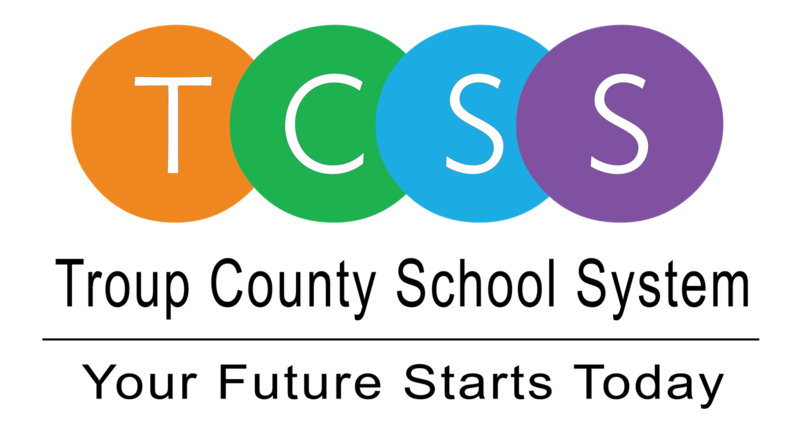 We are an accredited educational system with over 12,000 students in grades PreK-12.